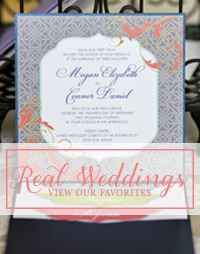 Words can not express how much I adore this wedding...an adorable looking couple, great colors, great photography by Amelia Lyon and killer bridesmaid dresses in a hot color! 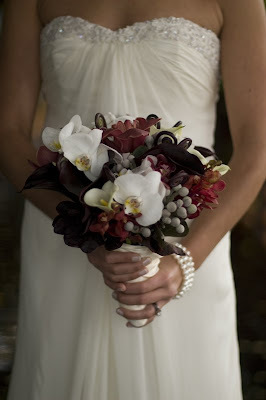 I'm 100% drooling over this bouquet from Julie Mikos' blog. What can I say about this? 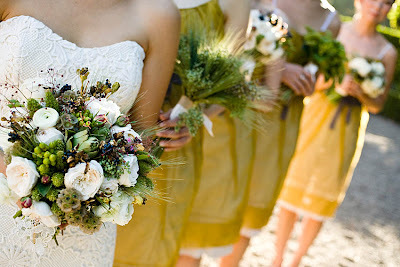 Stunning bouquet, great colors, fab bridesmaid dresses and Anna Kuperberg...nuff said! 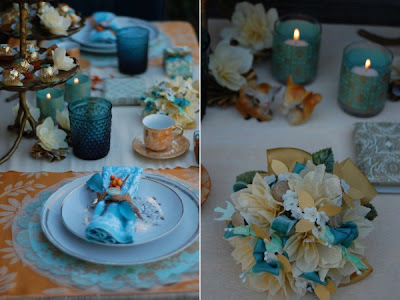 Le sigh...such a pretty tablescape in such a gorgeous color palette. 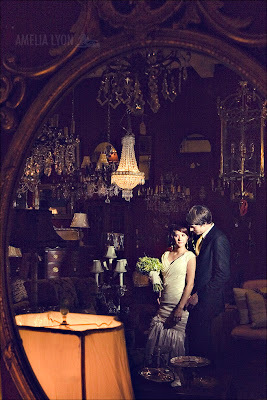 More images can be found from LaLaLaurie via Once Wed.
Have a merry Monday everyone! I love the light teal/oranges! 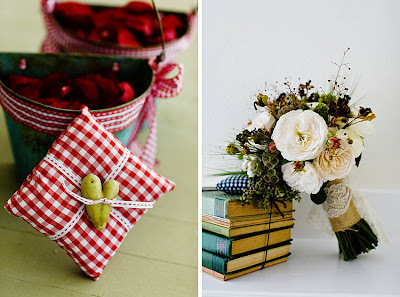 Great inspiration for our wedding! 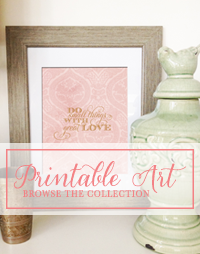 We are using the same palette, and I love the way this board pulls it all together! 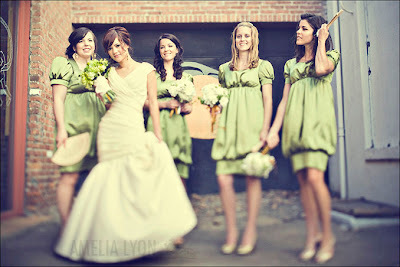 The photo of the girls in green is fantastic.